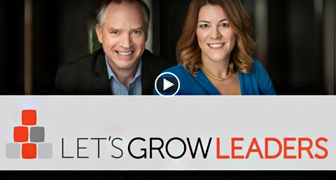 Lead remote meetings that get results and build relationships. Tired of shadowy silhouettes, screechy feedback, and multitasking participants? It doesn’t have to be that way. 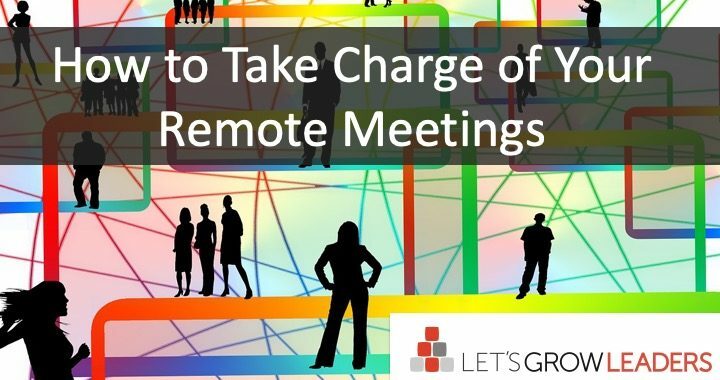 Remote meetings are a daily fact of life for most leaders. When you lead them well, they can build relationships, and leverage your team’s expertise from anywhere on earth. Like in-person meetings, however, good remote meetings don’t happen by accident. It takes intention and clear expectations to give everyone a productive experience that helps your team move forward. Here are fourteen ways you can take control of your remote meetings and make them a productive experience for everyone. You wouldn’t show up to most in-person business meetings wearing shorts and a tee-shirt, then put your feet up on the desk. While you hopefully don’t have remote team members show up this way, remote meetings require a different set of etiquette to ensure that the experience is connected and productive. Seeing one another’s faces is a fundamentally better experience than voice alone. Even with the latency and delays that sometimes come with video, we are built to see faces, interpret emotion, and connect with other human beings. Visual communication is higher bandwidth communication. You will get better results and relationships when your team can see one another. If at all possible, make video the default expectation for your remote meetings. Now that you’ve got your camera on, make sure your team can see you. The number one problem with lighting is that people sit in front of a window or bright light and point their camera toward the window. The light washes out your face and all we see is a dark silhouette. If you lead many meetings, it’s worth setting up a regular space where you will have good lighting. Sit facing the window. Get a lamp. Use what you have and ask others to do the same. Even if every member can’t get good lighting, they can avoid sitting in front of a bright light that washes out their face. While video requires a good internet connection, quality audio is easy and affordable. If you don’t have a remote-meeting-equipped conference room, an inexpensive USB headset will help you and your team to hear one another with minimal feedback and background noise. It’s very difficult to have a conversation with the group if you can’t hear one another or you’re fighting feedback. Headset microphones eliminate these problems. Have you ever had a video conference with someone’s left ear? If so, it’s because they have their camera on a different monitor than the monitor they’re watching. When you speak, practice looking at your camera. This maximizes your perceived eye contact with everyone else. On the laptop I use for remote meetings there is a little green light next to the camera lens. I’ve trained myself to look at that dot as if it were the eyes of the person I’m speaking to. Several times I’ve had meeting participants remark on how connected I was and how intently I was listening. That’s why. I was looking at the dot–but they see me looking at them. This takes practice to get used to, but it’s much better than people talking to your ear. Even with a noise-canceling microphone, background noise disrupts your team’s ability to have a meaningful conversation. Remote meetings require more from you than an in-person meeting. Your team will appreciate your leadership to help make the meeting the best use of everyone’s time. Many people experience remote meetings as a passive event where they listen to one or two people talk while they do other work, chime in with “sounds good,” and move on. To create a different energy and break up those habits, start your meeting with interaction. The best thing that happened to them at work this week? What made them most proud of their team? What contribution they’re most proud of? What they hope to get out of or achieve on the project you’re discussing? Give everyone a moment to read through and appreciate the answers. 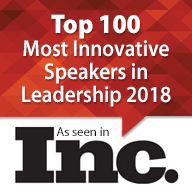 You can also use this technique to pause and gather responses throughout the meeting. What time does your meeting start? If you said “9:00 am” – what does that mean? Does it mean people should arrive at 9? At 8:55? What should everyone have read or done to prepare for the meeting? In one organization, a scheduled 9:00 am meeting could start as early as 7:30 if an executive’s plane arrived early. Don’t leave your meetings to chance. Great teams have mutually understood, shared expectations about how they work together and that includes meetings – remote or in person. Unless you’re meeting with the same group and have a track record of good remote meetings, take time to explain the technology and processes you use. If you will use polls, breakout rooms, text chats, whiteboards, or other elements, describe how they work and give people a chance to do it before you use it for the actual conversation. How long has it been since you’ve heard input from Doug? Should you invite Cheryl into the conversation? When people are new to the technology, it helps to be directive in how you engage the team. Use everyone’s name frequently. Invite them to share their perspective (this is even more important when you have a hybrid meeting with some attendees in-person and some remotely). Vary the interactions. Use waterfalls, polls, and text chats to provide group feedback and engage whoever isn’t speaking at the moment. One engagement tool that leaders often under-use is a good strategic story. In 2-4 minutes can you share a brief story about a customer or employee that relates to the meeting’s purpose–something that puts the computerized meeting in a human context. Whether you’re meeting in person, remotely, or both, never forget these five fundamentals of effective meetings. Before anyone arrives to a meeting, they need to know the purpose of the meeting. Is this a meeting to choose where you are going or how you will get there? Clarify the purpose and stick to it. You want your meeting to be the most productive use of time for everyone who attends. 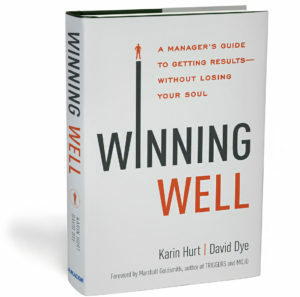 Generally, invite the least number of people that will allow the group to make the best decision. Then add in people who can attend developmentally. At the beginning of the meeting, clarify how the decision will be made. There are three ways to make business decisions: a single person decides; the team votes; or the team chooses by consensus. Those are your options. Be clear who owns the decisions so everyone knows how to share and how to think about what they hear. While you lead the meeting and participate in the discussion, stay focused on the original purpose. When you drift into other topics, make a decision: are you going to change the purpose of the meeting to discuss the new topic (rarely a good idea, but sometimes warranted) or call everyone back to the topic at hand? Use a parking lot and assign “parked” ideas an owner for follow up. To turn your meeting into action, wrap up with a focused check-for-understanding: Who is Doing What by When and How Will We Know? Finish strong and ensure everyone clearly knows who is accountable for what activity. We believe in the power of remote meetings and their ability to create human connections and achieve breakthrough results. 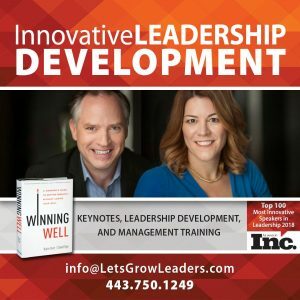 Karin and I have built friendships and working relationships with people around the world through remote collaboration and our live-online leadership training programs – and you can too. We’d love to hear from you: leave us a comment and share your best suggestion for running a fantastic remote meeting.